April 1View our April Fool's Day Articles! September 19We will be posting new articles weekly all school year! Future Teachers of America (FTA) sets out to prepare students, future educators, for the classroom. FTA members are in charge of many things; such as, the conduction of Grandparents Day, Teacher Appreciation Month, and Teacher of the Month. FTA is sponsored by both Nicole Kisling, and Beth Mauldin. 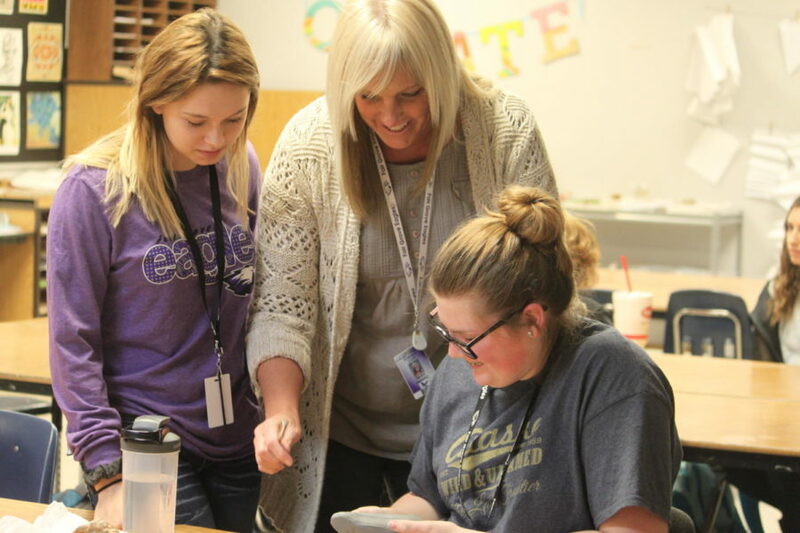 As well as serving and appreciating the staff at Fair Grove High School; one day a year, FTA members have the opportunity to job shadow one teacher of their choice. Harley Maxwell (Senior) job shadowed Jenny Talbert. “I job shadowed her because I want to be a teacher and coach, and wanted to see what it’s like to have both of those responsibilities each day,” said Harley Maxwell. Harley learned that being a teacher requires a lot of patience and an able understanding of the students you work with. After job shadowing she learned that she really enjoys being around kids and helping them, and will now highly consider becoming a teacher as her future career. FTA members, who job shadowed, all experienced what being an educator is like for one day. The goal of job shadowing is to expose students to what their future might consist of. “Job shadowing is important because you are actually there in the classroom watching someone do what you would do if you chose that as your career; you get to see what being a teacher takes,” said Senior Cydney Fullerton. Why are you excited for the end of the school year? SUMMER VACA OBVIOUSLY! "Beach hair, don't care..."
Summer Job, "Gotta get that cash flow!" Summer Sports! "Sun's out, guns out!" No School! "Too cool, for school?" Netflix, duh? "Must. Watch. All the shows!" The Senior class leaving! "See you at the Fall Festival?"